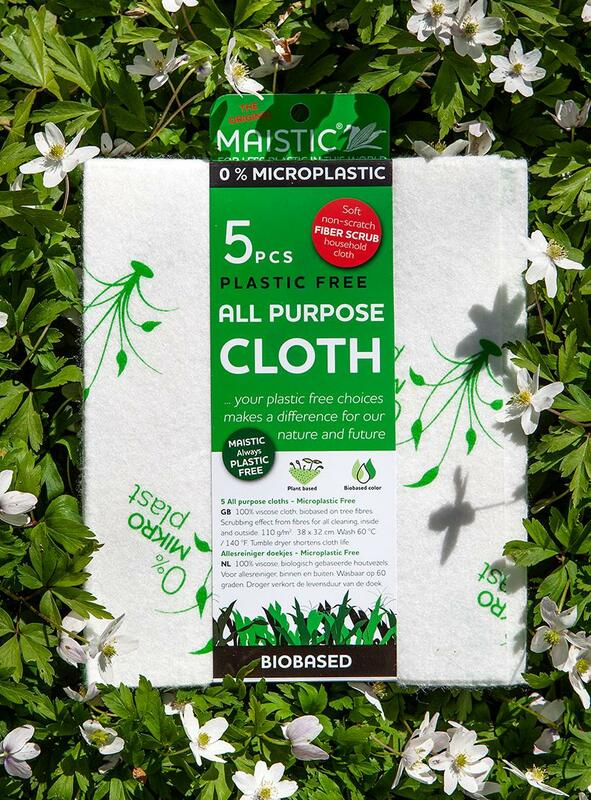 We have been trying out the MAISTIC® Cloths at home and think they are super - wash up well, very absorbent and the perfect 'go to' cloth for inside and outside use. Produced without polyester or other kinds of plastic. 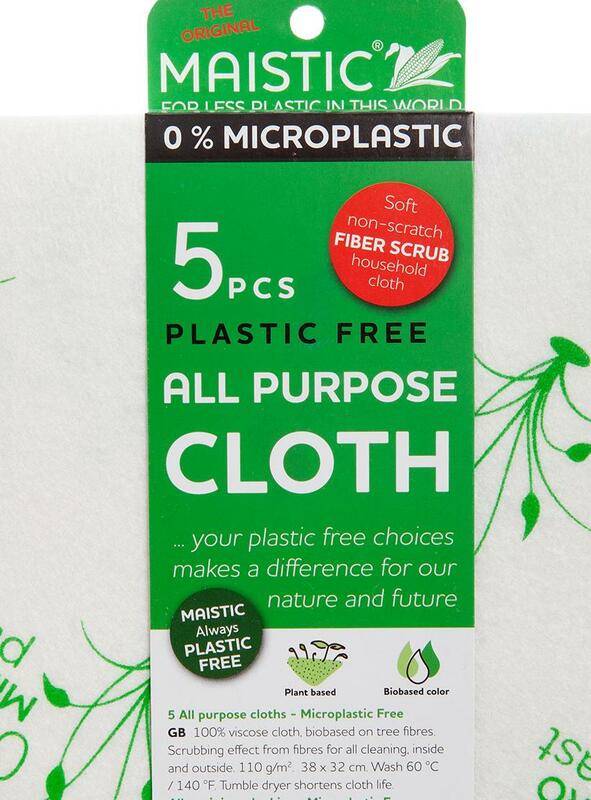 The 20-50% polyester fibres that are usually in viscose cloths are simply replaced with more woodbased viscose. Cloth colour is white with green print (AZO-free). Biodegradeable and compostable at end of life (but please bear in mind before putting into compost what chemicals, detergents, oil or paint etc. 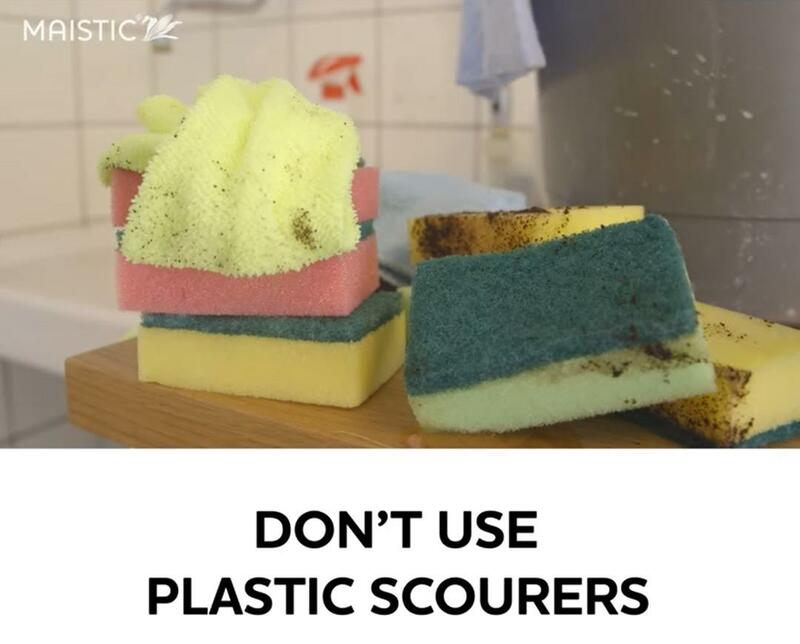 you used on the cloth during its long and industrious life - be mindful not to contaminate soil).